– you’ll want to marinate the mushrooms for as long as possible, preferably 8 or more hours. i started mine in the early evening and made them for an early lunch the next day. to marinate, place mushrooms and marinade in a large plastic ziplock, give them a few shakes and refrigerate. – combine 3/4 cup masa with 1/2 cup of hot water and knead with hands. add more water if needed, or add more masa if mixture seems too wet. you’re looking to achieve the consistency of brand new play-doh. you’ll know you’re spot on when you’re able to pull a full tortilla out of the press. i played around for a bit to get it just right, but it only took fussing with the mixture a little bit at a time to get there! – gently use the top press to flatten the tortilla, then peel away and add to the pan. * if you do not have a tortilla press, use your hand or a rolling pin to flatten tortillas! 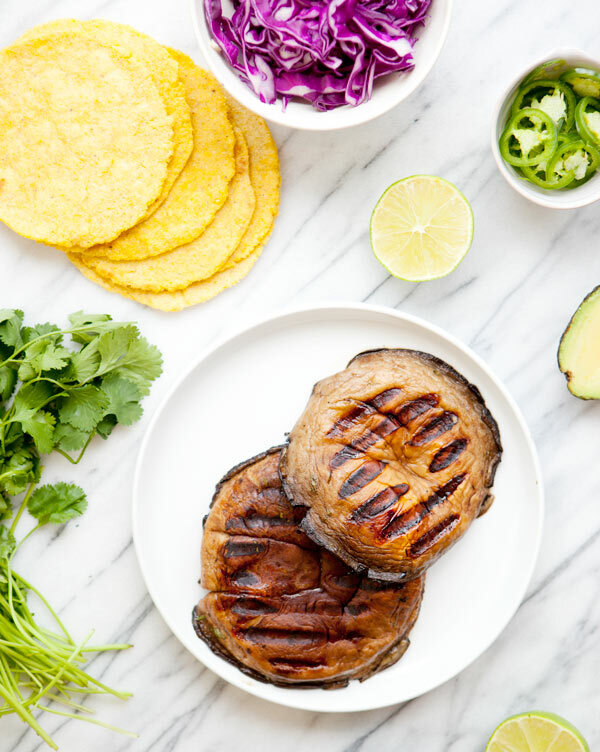 – assemble tacos by laying tortillas with slices of the grilled portobellos, slices of avocado, cilantro, cabbage and jalapeno. squeeze with lime juice. serve hot and enjoy! You MADE those? Now my taco making skills feel inadequate. 😉 Seriously though these look marvelous and very fresh! This is something my husband would absolutely love to eat (and prepare) — thank you so much, Sarah! I discovered your blog though Gwyneth Paltrow's – Goop.com web site. Your style & photos are superb. 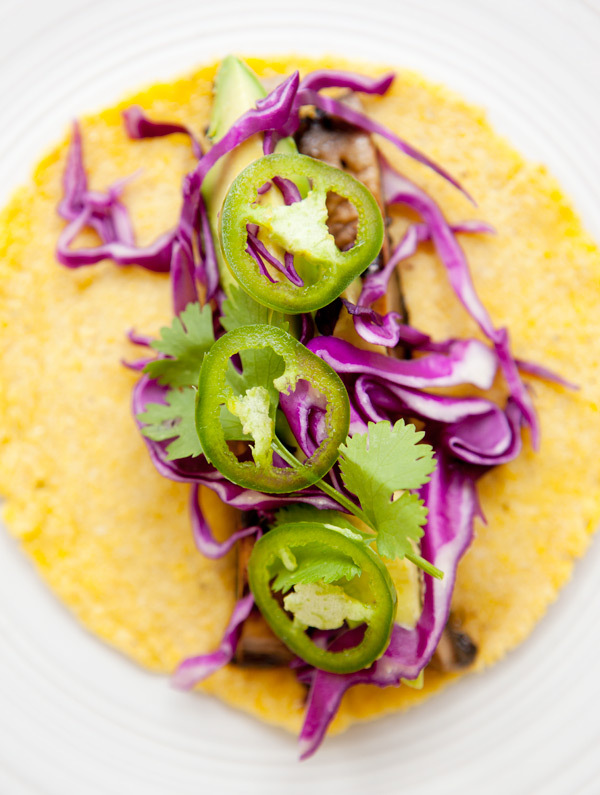 This recipe looks delish & I can almost smell this food – your photography is superb. I will share with friends, so you'll have some new readers. These look amazing! 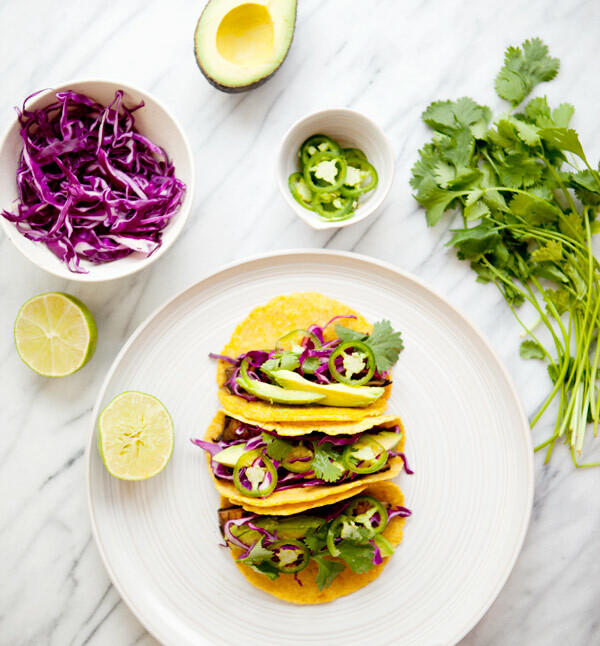 Tacos are my favorite summer meal – maybe because they are so easy to throw together and the ingredients can be so different! So impressed you made your own tortillas! I've wanted to for ages but keep forgetting to buy masa. That grill pan is a savior for us folks who don't have a BBQ grill (or space for one, I should say). Love this recipe. Thanks for sharing! such beautiful photography and it looks delicious! It surprised me how easy it is to actually make tortillas too! And the flavor combo you have in the filling looks unreal and perfect for a summer night! I'm so excited to make these now that you've taught me how easy it is to make tortillas! 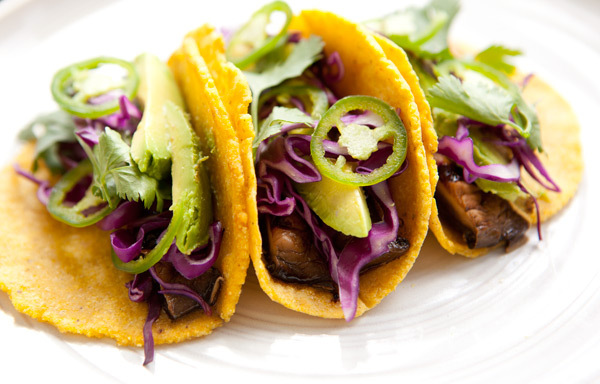 I've been avoiding tacos because I didn't want to eat the store bought versions. Wow those mushrooms are tasty when marinated overnight! We used some almond flour tortillas we needed to use up and added more veg – sauteed onions and red peppers with some pico de gallo on top. Thanks!